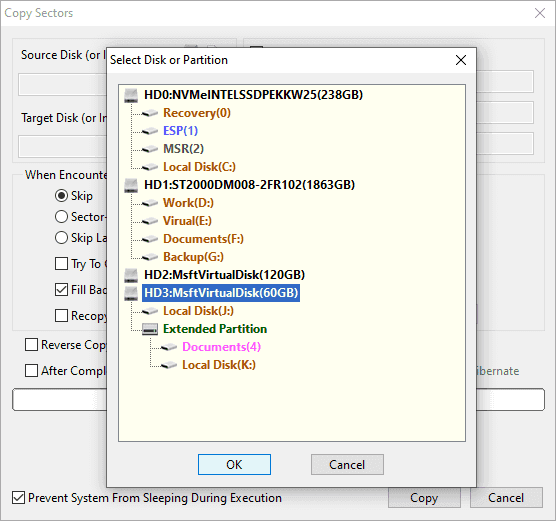 This feature is designed to do sector-by-sector copy of source drive or disk, for example image disk, copy partition, clone disk, image partition, etc. Itt copies/images all sectors no matter they are used or not on selected disk area, even though the sector does not contain any data or gets damaged. Thus, you can get a copy or image which is identical to original disk or partition. 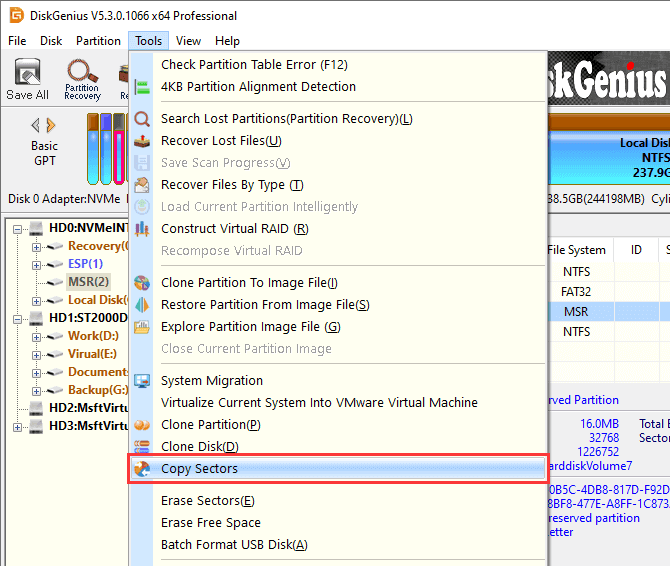 This function is very useful if you want to create an entire image or clone for partition or hard drive. Step 1 Click "Tools" menu and select "Copy Sectors". 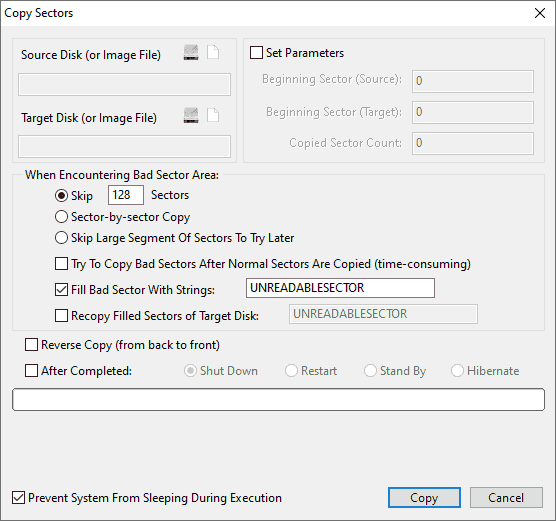 Step 2 Select source and target disk (or image file) and set up rules for the operation. Then click "Copy" button. Step 3 Click "Complete" button when it's done.